Walking Tour: All that Jazz! This walk explores nearly 100 years of jazz history in the West End, from the arrival of the first Americans in 1919 and the development of Jazz in Britain during the interwar years, stopping at many of the sites of legendary London clubs, bars, hotels, and restaurants where jazz and ‘jazzy’ music was played! The walk will start and finish at Two Temple Place and will take a maximum of 2 hours. We will explore the influence of Jazz nightlife in the West End at wild night clubs and drinking dens such as the glamorous (and notorious) Ciro’s Club and the sumptuous Kit Cat Club with its famous restaurant, which accommodated hot jazz and dance crazes such as the Charleston and provided a setting for the ‘liberation’ of women. 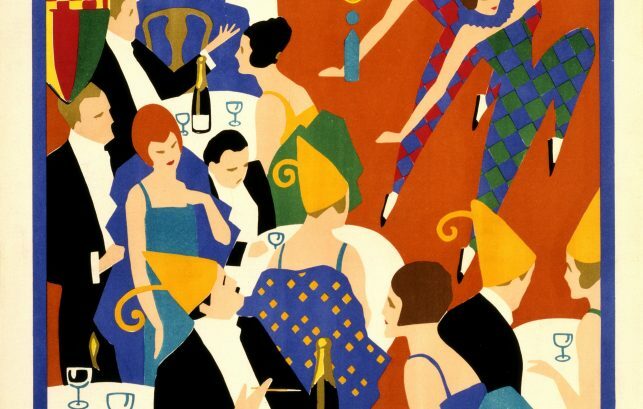 On to the glamorous art deco interiors of the Waldorf Hotel and the luxurious design of the Savoy Hotel and music venues such as the famed Hippodrome Theatre where the Original Dixieland Jazz Band, Louis Armstrong and many more performed. Walk Leader Chris Firmin is a qualified guide and a member of the City of Westminster Guide Lecturers Association. He has followed jazz in London for 50 years and plays drums in a jazz quintet based in Richmond.